Serbia had a fun football weekend. 1st three spots in the playoffs were pretty much known, however, 4th one was more than complicated. Rules made everyone confused, and everyone was calculating. Belgrade Vukovi secured their #1 spot in the playoffs with a perfect 7-0 score. 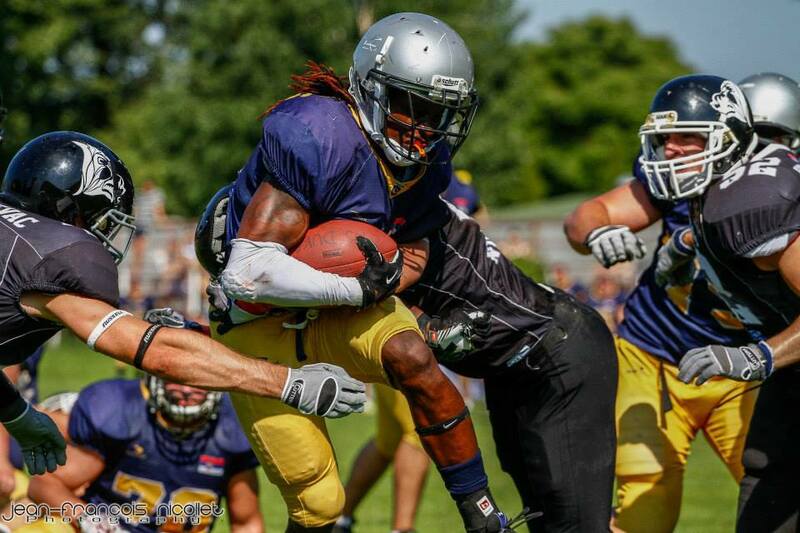 Vukovi QB, Lance Kriesien is #1 scorer in the league, followed by Rastko Jokic - Sunshine, of GAT Novi Sad Dukes. Vukovi played the Nis Imperators, and, it was a more than a relaxed game for them, as they were the absolute favorite to come out with a win in this away game. Game was ended with a 32:68. GAT Dukes and Wild Boars - both were 6-1 until Sunday. Both teams also secured their spot, however, this was a battle for the domestic field game. Wild Boars had a whole lot of injuries - they lost 2 import QBs to injuries, and had to think of a fast solution. However, something was wrong with the defense as well, they allowed 32 points, while the Dukes defense allowed only 7 in the very last moments of the game. It's interesting to mention that both teams are meeting up in Novi Sad again on the following Sunday. Now, Legionaries of Mitrovica have sealed their deal, team has enter the Elite division this year, and also will step out. Back to D2. 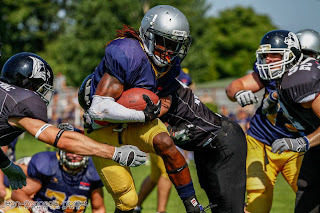 They suffered a loss from the Belgrade Blue Dragons - 32:12. Pancevo Panthers hosted the Kraljevo Royal Crowns. Panthers were a favorite to come out with a W, however, the Crowns came in well prepared. Panthers lost by just one point - 21:22. Note that the Panthers do not have one single import, and are the only team in the Elite division without Americans. Crowns entered the Elite division and blew the competition. They ended up being 3rd in the league, right behind Vukovi and Wild Boars, and this year - they were fighting to survive. 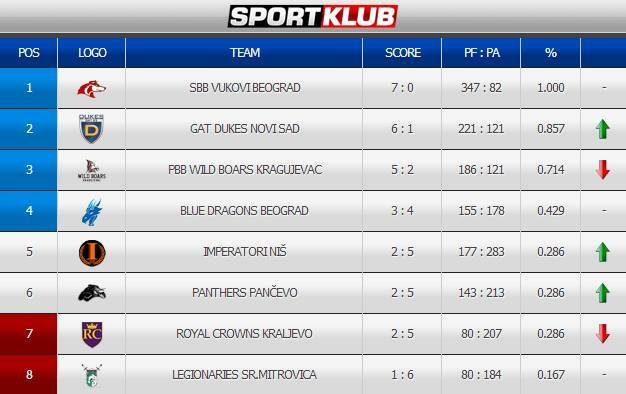 4th team to enter the playoffs are the Belgrade Blue Dragons, while the 2nd team to go back to the lower division are the Kraljevo Royal Crowns.